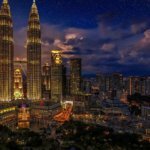 This language centre is situated in the heart of Kuala Lumpur, providing high calibre English education to international students from over 36 countries around the world. This language centre is situated in the heart of Kuala Lumpur, providing high calibre English education to international students from over 36 countries around the world. They have an intake of over 200 students per month, and courses cover all ages and levels from 10 years of age to adults but most of our students range from the ages between 15-35. Classes are semi-private which means each class will not contain more than 12 students. They pride themselves in their program, teaching methods and standard of teaching. Teachers will be required to work Monday to Friday from 9:00am till 6:00pm, 30 of which will be in-class teaching hours per week.